Fiorella's Closet: Sally Hansen Mint Sorbet Xtreme Wear Review! 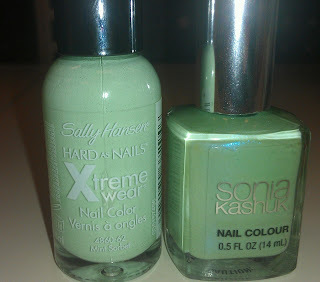 Sally Hansen Mint Sorbet Xtreme Wear Review! After staring at them long enough I decided the "blue-ish" shimmer in the Sonia Kashuk polish, while pretty, was not was I was looking for. 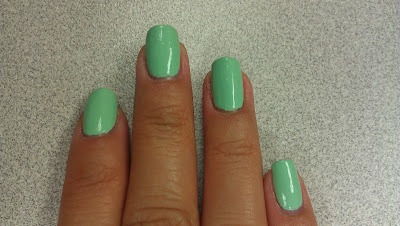 I went with Sally Hansen Mint Sorbet Xtreme Wear! 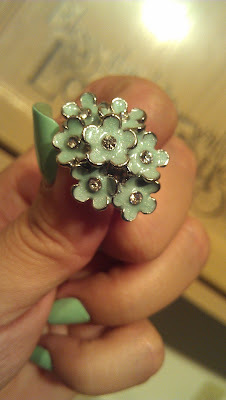 I put it on my toenails at first and loved it so much I put it on my fingernails as well the day after. 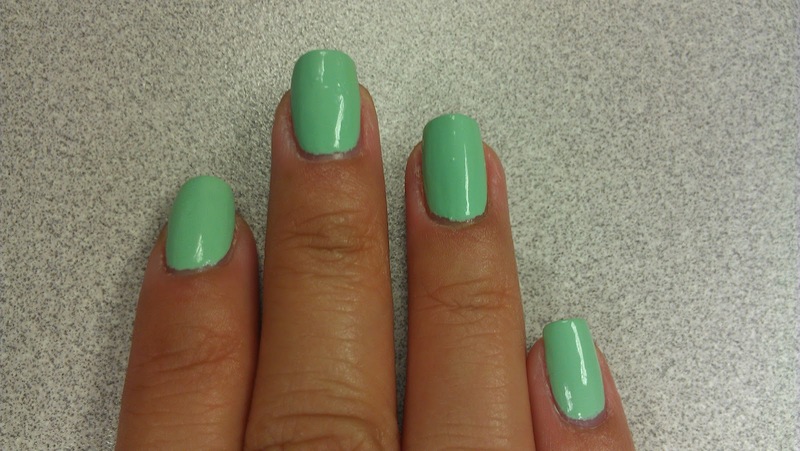 I haven't matched my fingernails and my toenails in a while so this means I really REALLY like this color! This is after 3 days, the polish is holding up pretty good :) That ring has the color I am trying to match, I feel I am close but not quite there yet. 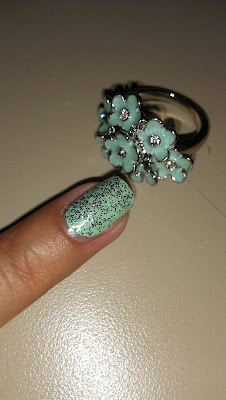 I added a coat of Julep Mila glitter as the accent nail at the end of day 3. Overall, for the price I am happy with this polish, I had never tried Sally Hansen Xtreme Wear colors so I was happy to like this one, nice to know you can find good polishes at any price point. The polish was a bit on the thick side, which I expected due the creamy texture and finish, I did get some bubbles but I think it was due to the application (again excited and rushing). 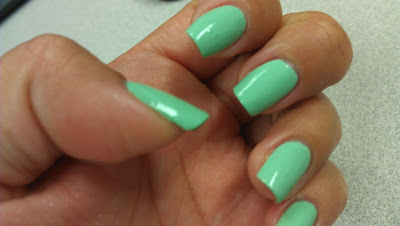 Yeah..so I may have to go get this color now! It looks amazing!!! Makes you look super tan too! Thank you! :) do you have a blog? Really nice and super interesting colour.